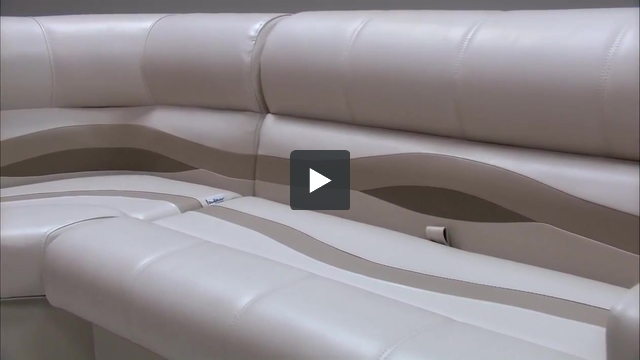 These pontoon boat seats make up our Premium PRG86 pontoon furniture set. Recently completely rebuilt 8'x24' pontoon boat (crossmembers and above all new) and I'm currently needing a rear bench seat (and eventual 8'x10 bemini top) to complete. My measured seat width is just shy of 90" (might be able to get 90" but would be very snug). I see this 2 corner and bench seat combination is 84" wide. Do you have any combinations that would get me closer to my dimensions or do you believe having a little extra space between would be better so water isn't trapped between seats or carpeted walls? Thank you. Sounds like you are well on your way to having a brand new pontoon boat! Depnding on how close you are to 90" I would recommened going with the 28" pontoon corner seats, 55" pontoon bench seat and 7" pontoon arm rest. We have this pontoon seating arrangment pictured. I have included a link below. This will maxamaize your seating area. In the event that the seats do not fit you will only need to return the arm rest. I would also recommened looking at our pontoon designer. I have included a link below. You can put in your measurments and get as creative as you would like with your layout. What is the height of the PRG86 and are all similar pieces (like PRG90) the same height? This pontoon seating group is 30" high. 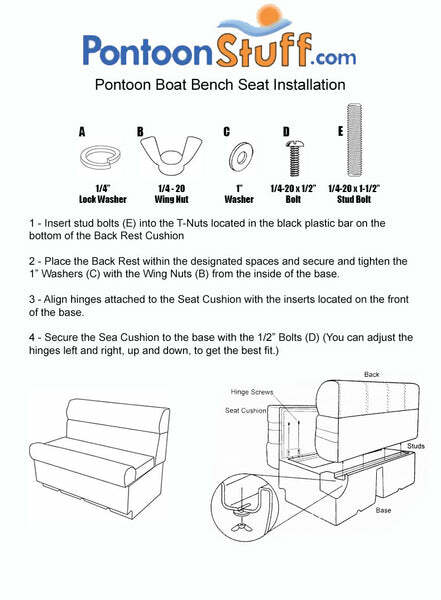 All of our pontoon seats are the same height and will line up great in your boat. How do seats fasten to floor. Are there pre-drilled holes or do you just bolt to floor. We offer 4 Wood Screws with all of our Pontoon Furniture that comes with Plastic Bases. This is how you will attach them to the Deck. I am replacing pontoon boat seats...need a 55" lounge, 7" arm rest 24 or 25" corner, and 20" lounge....27" lounge just won't work for me....do you have a 20" lounge?? The length is 84" what is the depth of the seats? That would be 27 inches in total depth.